An Open Letter and Petition sponsored by a coalition of several Divisions of the American Psychological Association has attracted nearly 7000 signatures since its launch on October 22. The Petition sponsors are inviting mental health professionals and mental health organizations to sign up in support of an Open Letter to the American Psychiatric Association’s DSM-5 Development Task Force. Media coverage is being collated below as it comes to my attention. The so-called bible of psychiatry, the Diagnostic and Statistical Manual of Mental Disorders, is getting a make-over. The latest version, DSM 5, will come out in 2013. In the meantime, conflicts over which diagnoses should be added, removed or changed are heating up. When I read the response to the criticisms offered by Dr. Darrel A. Regier, vice-chair of the DSM-5 task force that the DSM is “a set of scientific hypotheses that are intended to be tested” I became deeply concerned. My first thought was: “When I go to my physician, I don’t want her to have a hypothesized diagnosis that she is going to test on me, I want her to know what is wrong and how to fix it!” And while Dr. Regier’s comment (and a subsequent one that he “hoped” that there would be regular updates to DSM 5, like software) might have been meant to ameliorate the criticism against DSM-5, the reality is that once it is published they will go from being “editable hypotheses” to “diagnostic canon” that insurance companies, government agencies, and courts will all hold clinicians to (to say nothing of the pharmaceutical industry), which will have serious consequences for the entire field. The problem is that the process and its proposed remedy fails to take into consideration the criticisms against it: namely, that it has been based on VERY shaky science (if any at all). This should concern us all. Russell Friedman is Executive Director of The Grief Recovery Institute, and co-author of The Grief Recovery Handbook, When Children Grieve, and Moving On. Exploring myths and truths about grief, loss, and recovery. We are: John W. James and Russell Friedman, co-founders of The Grief Recovery Institute Educational Foundation, and co-creators of The Grief Recovery Method®. We are also co-authors of The Grief Recovery Handbook and When Children Grieve [both published by HarperCollins] and Moving On [M. Evans]. News flash From Medscape Medical News—“APA Answers DSM-5 Critics”—a defense of DSM-5 offered by Darrel A. Regier, MD, vice-chair of the DSM-5 Task Force. Wonderful news that the American Psychiatric Association (APA) is attempting to address the fact that DSM-5 alarms many of its potential users—it is long past time for an open dialog. How about straight answers to simple questions? November 4, 2011 — Divisions of the American Psychological Association have created an online petition addressing “serious reservations” about the upcoming Diagnostic and Statistical Manual of Mental Disorders, 5th Edition (DSM-5). Launched October 22, the petition has already garnered more than 3000 signatures from mental health professionals, students, and organizations. Psychiatrists may be more reluctant than are other mental health clinicians to sign a petition questioning the safety and value of DSM 5. After all, it is the American Psychiatric Association that is sponsoring DSM 5 and there is a natural tendency to want to trust the wisdom of one’s own Association. We also tend to feel the greatest loyalty to our profession when it seems to be under sharp attack from without. All this is completely understandable to me. I have not felt the least bit comfortable assuming the role fate assigned me as critic of DSM 5 and of the APA. It was a case of responsibility calling and my feeling compelled to answer. 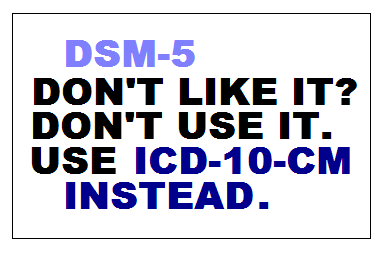 If DSM 5 were not proposing some really dangerous changes, I would have stayed comfortably on the sidelines. But I think DSM 5 is too risky to ignore and that all psychiatrists should feel the same call that I did to restrain it before it is too late. Why Doesn’t DSM 5 Defend Itself? Dispute grows over revisions to diagnostic handbook. Psychologist David Elkins had modest ambitions for his petition. He and his colleagues were worried that proposed changes to an influential handbook of mental disorders could classify normal behaviours as psychological conditions, potentially leading to inappropriate treatments. So they laid out their concerns in an open letter, co-sponsored by five divisions of the American Psychological Association in Washington DC. “I thought, ‘Well, maybe we’ll get a couple or maybe 30 signatures’,” says Elkins, an emeritus professor at Pepperdine University in Malibu, California. All the Fuss with DSM-5: The Ethics of the Psychiatric Bible Is DSM5 sacred scripture? There has been a great deal of controversy already about DSM5 and it isn’t scheduled to be published until May 2013! So, what’s up with that? From quirky to serious, trends in psychology and psychiatry. Last weekend, without any fanfare or publicity, the Society for Humanistic Psychology, a division of the American Psychological Association, posted an open letter to the DSM-5 task force listing in precise, scholarly detail its many concerns about the edition’s working assumptions, procedures, and recommendations. Three other APA Divisions supported the move, which also was endorsed by the Association for Women in Psychology, the Society for Descriptive Psychology, and the UK Council for Psychotherapy (UKCP). The petition to reform DSM 5 continues to gain momentum. After just one week, more than 2000 people have expressed their disapproval of the DSM 5 proposals and their desire to see dramatic changes. You can join them at http://www.ipetitions.com/petition/dsm5/. The Constructivist Psychology Network has signed a petition supporting an open letter by psychologists to the DSM-5 task force. The open letter objects to many of the proposed revisions being considered by the for inclusion in its forthcoming DSM-5. Karen Franklin, Ph.D. is a forensic psychologist and adjunct professor at Alliant University in Northern California. Petition Against DSM-5 Gets Off To Racing Start: A Game Changer? Update @ January 11, 2012: The third and final draft of proposals for changes to DSM-IV categories and criteria is delayed because field trials and evaluations are running behind schedule and extended to March. The final draft is now expected to be released for public review and comment, “no later than May 2012”, according to DSM-5 Task Force Vice-chair, Darrel Regier, MD . This time last year, folk were mailing me saying – I don’t know why you bother continuing to monitor DSM-5 and ICD-11, XMRV is going to render the DSM-5 proposals meaningless. Well that was then, and this is now. And in a couple of months’ time we’ll be anticipating the third and final public review and feedback on the APA’s draft proposals for changes to categories and criteria for the revision of DSM-IV. During the first stakeholder feedback exercise, over 8,600 comments rolled in; during the second comment period (which was extended by an additional four weeks), the Task Force and work groups received over 2000 submissions. “September-November 2011: Work groups will be provided with results from both field trials and will update their draft criteria as needed. Field trial results and revised proposals will be reviewed at the November Task Force meeting. Assuming the APA’s schedule remains on target, US and international patient organizations and advocates need to start preparing well in advance of the New Year for how best to engage our own medical and allied professionals in this process and encourage their input. As soon as DSM-5 Draft 3 is posted on the DSM-5 Development site, I shall put out alerts on my websites, via Co-Cure and on other platforms and I shall be contacting UK patient organizations, as I have done for the previous two public review exercises. But I hope that other advocates and groups, in the US and internationally, will work to take this forward and ensure that as many international patient organizations, ME and CFS clinicians and researchers, like those who collaborated on the new ME International Consensus Criteria, allied health professionals, medical lawyers, social workers and other end uses of the DSM are made aware of the proposals of the “Somatic Symptom Disorders” Work Group and the implications for ME, CFS, FM, IBS, CI, CS and GWS patient groups, and encouraged to submit comments as professional stakeholders. These American Psychological Association Divisions are inviting mental health professionals and mental health organizations to sign up in support of an open letter to the American Psychiatric Association’s DSM-5 Task Force. Their response to DSM-5 structure and proposals may be of interest to psychiatrists and psychologists affiliated to, or on the boards of our own ME and CFS patient organizations. Under the subheading “New Emphasis on Medico-Physiological Theory”, the Open Letter sponsors comment on some aspects of the DSM-5 proposals for the “Somatic Symptom Disorders” categories. The Open Letter also supports concerns set out within the formal response to DSM-5 draft proposals submitted by the British Psychological Society, earlier this year, and more recent concerns published by the American Counseling Association. A couple of points: both the American Psychological Association, three of whose Divisions are sponsors of this Open Letter, and the American Psychiatric Association use the acronym “APA”. It is the American Psychiatric Association’s DSM-5 Task Force that is developing the DSM-5. Secondly, although the first release of the DSM-5 draft proposals did have the diagnosis “Factitious Disorder” placed under “Somatic Symptom Disorders (SSDs)”, the most recent (May 2011) DSM-5 draft proposes placing “Factitious Disorder” under the diagnostic chapter “Other Disorders”, not within the SSDs, as the Open Letter, below, states , . As you are aware, the DSM is a central component of the research, education, and practice of most licensed psychologists in the United States. Psychologists are not only consumers and utilizers of the manual, but we are also producers of seminal research on DSM-defined disorder categories and their empirical correlates. Practicing psychologists in both private and public service utilize the DSM to conceptualize, communicate, and support their clinical work. For these reasons, we believe that the development and revision of DSM diagnoses should include the contribution of psychologists, not only as select individuals on a committee, but as a professional community. We have therefore decided to offer the below response to DSM-5 development. This document was composed in recognition of, and with sensitivity to, the longstanding and congenial relationship between American psychologists and our psychiatrist colleagues. Though we admire various efforts of the DSM-5 Task Force, especially efforts to update the manual according to new empirical research, we have substantial reservations about a number of the proposed changes that are presented on www.dsm5.org. As we will detail below, we are concerned about the lowering of diagnostic thresholds for multiple disorder categories, about the introduction of disorders that may lead to inappropriate medical treatment of vulnerable populations, and about specific proposals that appear to lack empirical grounding. In addition, we question proposed changes to the definition(s) of mental disorder that deemphasize sociocultural variation while placing more emphasis on biological theory. In light of the growing empirical evidence that neurobiology does not fully account for the emergence of mental distress, as well as new longitudinal studies revealing long-term hazards of standard neurobiological (psychotropic) treatment, we believe that these changes pose substantial risks to patients/clients, practitioners, and the mental health professions in general. Given the changes currently taking place in the profession and science of psychiatry, as well as the developing empirical landscape from which psychiatric knowledge is drawn, we believe that it is important to make our opinions known at this particular historical moment. As stated at the conclusion of this letter, we believe that it is time for psychiatry and psychology collaboratively to explore the possibility of developing an alternative approach to the conceptualization of emotional distress. We believe that the risks posed by DSM-5, as outlined below, only highlight the need for a descriptive and empirical approach that is unencumbered by previous deductive and theoretical models. The proposal to lower diagnostic thresholds is scientifically premature and holds numerous risks. Diagnostic sensitivity is particularly important given the established limitations and side-effects of popular antipsychotic medications. Increasing the number of people who qualify for a diagnosis may lead to excessive medicalization and stigmatization of transitive, even normative distress. As suggested by the Chair of DSM-IV Task Force Allen Frances (2010), among others, the lowering of diagnostic thresholds poses the epidemiological risk of triggering false-positive epidemics. • “Attenuated Psychosis Syndrome,” which describes experiences common in the general population, and which was developed from a “risk” concept with strikingly low predictive validity for conversion to full psychosis. • The proposed removal of Major Depressive Disorder’s bereavement exclusion, which currently prevents the pathologization of grief, a normal life process. • The reduction in the number of criteria necessary for the diagnosis of Attention Deficit Disorder, a diagnosis that is already subject to epidemiological inflation. • The reduction in symptomatic duration and the number of necessary criteria for the diagnosis of Generalized Anxiety Disorder. Though we also have faith in the perspicacity of clinicians, we believe that expertise in clinical decision-making is not ubiquitous amongst practitioners and, more importantly, cannot prevent epidemiological trends that arise from societal and institutional processes. We believe that the protection of society, including the prevention of false epidemics, should be prioritized above nomenclatural exploration. The DSM-5 has proposed to change the Definition of a Mental Disorder such that DSM-IV’s Feature E: “Neither deviant behavior (e.g., political, religious, or sexual) nor conflicts that are primarily between the individual and society are mental disorders unless the deviance or conflict is a symptom of a dysfunction in the individual,” will instead read “[A mental disorder is a behavioral or psychological syndrome or pattern] [t]hat is not primarily a result of social deviance or conflicts with society.” The latter version fails to explicitly state that deviant behavior and primary conflicts between the individual and society are not mental disorders. Instead, the new proposal focuses on whether mental disorder is a “result” of deviance/social conflicts. Taken literally, DSM-5’s version suggests that mental disorder may be the result of these factors so long as they are not “primarily” the cause. In other words, this change will require the clinician to draw on subjective etiological theory to make a judgment about the cause of presenting problems. It will further require the clinician to make a hierarchical decision about the primacy of these causal factors, which will then (partially) determine whether mental disorder is said to be present. Given lack of consensus as to the “primary” causes of mental distress, this proposed change may result in the labeling of sociopolitical deviance as mental disorder. • As mentioned above, Attenuated Psychosis Syndrome and Disruptive Mood Dysregulation Disorder (DMDD) have questionable diagnostic validity, and the research on these purported disorders is relatively recent and sparse. • The Conditions Proposed by Outside Sources that are under consideration for DSM-5 contain several unsubstantiated and questionable disorder categories. For example, “Apathy Syndrome,” “Internet Addiction Disorder,” and “Parental Alienation Syndrome” have virtually no basis in the empirical literature. • The first of DSM-5’s proposed revisions to the Definition of a Mental Disorder transforms DSM-IV’s versatile Criterion D: “A manifestation of a behavioral, psychological, or biological dysfunction in the individual” into a newly collapsed Criterion B: [A behavioral or psychological syndrome] “That reflects an underlying psychobiological dysfunction.” The new definition states that all mental disorders represent underlying biological dysfunction. We believe that there is insufficient empirical evidence for this claim. • The change in Criterion H under “Other Considerations” for the Definition of a Mental Disorder adds a comparison between medical disorders and mental disorders with no discussion of the differences between the two. Specifically, the qualifying phrase “No definition adequately specifies precise boundaries for the concept of ‘mental disorder” was changed to “No definition perfectly specifies precise boundaries for the concept of either ’medical disorder’ or ‘mental/psychiatric disorder’.” This effectively transforms a statement meant to clarify the conceptual limitations of mental disorder into a statement equating medical and mental phenomena. • We are puzzled by the proposals to “De-emphasize medically unexplained symptoms” in Somatic Symptom Disorders (SSDs) and to reclassify Factitious Disorder as an SSD. The SSD Workgroup explains: “…because of the implicit mind-body dualism and the unreliability of assessments of ‘medically unexplained symptoms,’ these symptoms are no longer emphasized as core features of many of these disorders.” We do not agree that hypothesizing a medical explanation for these symptoms will resolve the philosophical problem of Cartesian dualism inherent in the concept of “mental illness.” Further, merging the medico-physical with the psychological eradicates the conceptual and historical basis for somatoform phenomena, which are by definition somatic symptoms that are not traceable to known medical conditions. Though such a redefinition may appear to lend these symptoms a solid medico-physiological foundation, we believe that the lack of empirical evidence for this foundation may lead to practitioner confusion, as might the stated comparison between these disorders and research on cancer, cardiovascular, and respiratory diseases. • The proposed reclassification of Attention Deficit/Hyperactivity Disorder (ADHD) from Disorders Usually First Diagnosed in Infancy, Childhood, or Adolescence to the new grouping “Neurodevelopmental Disorders” seems to suggests that that ADHD has a definitive neurological basis. This change, in combination with the proposal to lower the diagnostic threshold for this category as described above, poses high risk of exacerbating the extant over-medicalization and over-diagnosis of this disorder category. • A recent publication by the Task Force, The Conceptual Evolution of DSM-5 (Regier, Narrow, Kuhl, & Kupfer, 2011), states that the primary goal of DSM-5 is “to produce diagnostic criteria and disorder categories that keep pace with advances in neuroscience.” We believe that the primary goal of DSM-5 should be to keep pace with advances in all types of empirical knowledge (e.g., psychological, social, cultural, etc.). “…epidemiological, neurobiological, cross-cultural, and basic behavioral research conducted since DSM-IV has suggested that demonstrating construct validity for many of these strict diagnostic categories (as envisioned most notably by Robins and Guze) will remain an elusive goal” (Kendler, Kupfer, Narrow, Phillips, & Fawcett, 2009, p. 1). We thus believe that a move towards biological theory directly contradicts evidence that psychopathology, unlike medical pathology, cannot be reduced to pathognomonic physiological signs or even multiple biomarkers. Further, growing evidence suggests that though psychotropic medications do not necessarily correct putative chemical imbalances, they do pose substantial iatrogenic hazards. For example, the increasingly popular neuroleptic (antipsychotic) medications, though helpful for many people in the short term, pose the long-term risks of obesity, diabetes, movement disorders, cognitive decline, worsening of psychotic symptoms, reduction in brain volume, and shortened lifespan (Ho, Andreasen, Ziebell, Pierson, & Magnotta, 2011; Whitaker, 2002, 2010). Indeed, though neurobiology may not fully explain the etiology of DSM-defined disorders, mounting longitudinal evidence suggests that the brain is dramatically altered over the course of psychiatric treatment. In sum, we have serious reservations about the proposed content of the future DSM-5, as we believe that the new proposals pose the risk of exacerbating longstanding problems with the current system. Many of our reservations, including some of the problems described above, have already been articulated in the formal response to DSM-5 issued by the British Psychological Society (BPS, 2011) and in the email communication of the American Counseling Association (ACA) to Allen Frances (Frances, 2011b). The present DSM-5 development period may provide a unique opportunity to address these dilemmas, especially given the Task Force’s willingness to reconceptualize the general architecture of psychiatric taxonomy. However, we believe that the proposals presented on www.dsm5.org are more likely to exacerbate rather than mitigate these longstanding problems. We share BPS’s hopes for a more inductive, descriptive approach in the future, and we join BPS in offering participation and guidance in the revision process. British Psychological Society. (2011) Response to the American Psychiatric Association: DSM-5 development. Compton, M. T. (2008). Advances in the early detection and prevention of schizophrenia. Hanssen, M., Bak, M., Bijl, R., Vollebergh, W., & van Os, J. (2005). The incidence and outcome of subclinical psychotic experiences in the general population. British Journal of Clinical Psychology, 44, 181-191. Ho, B-C., Andreasen, N. C., Ziebell, S., Pierson, R., & Magnotta, V. (2011). Long-term antipsychotic treatment and brain volumes. Archives of General Psychiatry, 68, 128-137. Johns, L. C., & van Os, J. (2001). The continuity of psychotic experiences in the general population. Clinical Psychology Review, 21, 1125-1141. Kendell, R., & Jablensky, A. (2003). Distinguishing between the validity and utility of psychiatric diagnoses. The American Journal of Psychiatry, 160, 4-11. Livesley, W. J. (2010). Confusion and incoherence in the classification of Personality Disorder: Commentary on the preliminary proposals for DSM-5. Psychological Injury and Law, 3, 304-313. Moran, M. (2009). DSM-V developers weigh adding psychosis risk. Psychiatric News Online. Regier, D. A., Narrow, W. E., Kuhl, E. A., & Kupfer, D. J. (2011). The conceptual evolution of DSM-5. Arlington, VA: American Psychiatric Publishing. Whitaker, R. (2010). Anatomy of an epidemic. New York, NY: Random House. On 10 December 2009, the American Psychiatric Association (APA) issued a news release announcing a revised timeline for the publication of the fifth edition of the Diagnostic and Statistical Manual of Mental Disorders (DSM-5). The anticipated release date for DSM-5 was being shifted from May 2012 to May 2013. But field trials are barely underway. Allen Frances, MD, currently professor emeritus at Duke, had chaired the DSM-IV Task Force. Frances maintains the blog DSM5 in Distress at Pyschology Today and also writes for Psychiatric Times where he’s been documenting and commenting on the development of DSM-5 since June 2009. Robert Spitzer had chaired the DSM-III Task Force. CONTINUED SECRECY: Given all of the negative publicity surrounding the DSM-5 confidentiality agreements, we are amazed to see the following statement in the charge to the Scientific Review committee: “Deliberations and reports to the BOT will be confidential. The existence of the committee (work group) will be public.” Why on earth is this case? What is the possible harm of making this esteemed committee’s final report public? While we can appreciate the need for the committee to be able to deliberate candidly and not feel constrained by the possibility that every aspect of their deliberations will be made public, it is essential that the final report containing the committee’s assessment of the scientific merits of the proposals be made public. COMPOSITION OF WORK GROUP: The announcement makes an ambitious claim, namely, that this review will be equivalent to an independent NIMH peer review. This desirable standard cannot possibly be met by the DSM-5 Scientific Review Work Group as you have constituted it. The people chosen are all well-respected, but all but two of the committee members have been involved with DSM 5 or its oversight. To have credibility, a review committee must be completely unattached to the work that has already been done on DSM 5. Preferably, APA should contract out the review process to experts in evidence based medicine who would be both fully independent and also able to apply the standards of scientific proof used across all medical specialties. At the very least, the membership of the committee needs to be broadened to guarantee both the reality and the appearance of a truly unbiased and independent review process. CHARGE: Although labeled a “Scientific Review Work Group”, the charge needs to go beyond just being a scientific review and include a thorough risk/ benefit analysis of all suggestions. That such an analysis is planned in suggested by the statement in the charge that “issues of clinical utility, public health, and potential impact on patients should also be considered.” We applaud this plan to conduct a risk/benefit analysis but are concerned that such a review requires broader experience in primary care, public policy, health economics, and forensics that goes beyond the current composition of the Workgroup. At a minimum, close consultation with such experts should be part of the planned review process. METHOD: It appears the assessments will be limited to evidence already generated by the work groups, with no check to determine if their reviews have been comprehensive and balanced. Since there was no standard operating procedure in the literature review process, the work group reviews are variable in quality and method. A recheck to ensure that all pertinent references have been included is necessary. TIMING: This scientific review is occurring unbelievably late in the DSM 5 process- it should have been completed more than a year ago, not after the field trials have already begun. There is little purpose to be doing expensive field testing on proposal likely to be eliminated because of limited scientific support. Every step in the DSM 5 process has missed its deadline, sometimes by a year or more. We are concerned that the momentum of the DSM 5 process and limited time left for its review will result in the rushed inclusion of proposals that are both risky and unsupported by evidence. All these serious concerns notwithstanding, The DSM 5 Scientific Review Work Group has our very best wishes. It is in a key position to do a great service for our field and for our patients and to save APA from further embarrassment. DSM 5 is falling far behind its schedule. …It was patently obvious from the moment of its announcements that the new DSM 5 field test timetable was also a product of fantasy that would not be met in the real world. First off, it should have been clear that the field trials could not possibly start on time two months after their announcement. Recruiting the sites, training the personnel, gaining human rights approvals, and pilot testing always take at least six months. Predictably, we are already in mid Nov 2010 and it is still not at all clear when the DSM 5 field tests will actually begin to enroll patients at all its sites. A waste of talent, time, and money. …Field tests also fail to account for the pressures that will lead to systematic, future misuse-especially the drug company marketing of mental disorders that leads to over-diagnosis. …What do I mean? DSM 5 has made a number of radical suggestions for change, particularly the inclusion of many new diagnoses at the threshold of normality. These have the potential to reclassify as mentally disordered tens of millions of people currently considered normal. The only relevant questions are the overall rates of these disorders in the general population and the risks of false negative over-diagnosis. …At the end of the DSM 5 field trials, we will have no idea whatever whether its suggestions will create false epidemics of misidentified pseudo-patients. Implementation of the WHO’s ICD-11 is scheduled for 2014. Earlier this year, I asked ICD Revision to clarify for stakeholders whether any form of Alpha Draft for ICD-11 will be placed in the public domain, when this will be released and in what formats. In October, ICD Revision stated via its Facebook site, that there will be no publication of an ICD-11 Alpha Draft for public scrutiny and that a public Beta Draft is still targeted for May 2011. According to the September iCamp2 meeting PowerPoint presentation, Frequent Criticisms and this iCamp2 YouTube, targets for the population of content for the ICD-11 Alpha Draft had not been reached. The APA participates with the WHO in the International Advisory Group for the Revision of ICD-10 Mental and Behavioural Disorders and the DSM-ICD Harmonization Coordination Group. The International Advisory Group for the Revision of the ICD-10 Chapter for Mental and Behavioural Disorders (currently ICD-10 Chapter V but will be Chapter 5 in ICD-11) was constituted by the WHO with the primary task of advising the WHO on all steps leading to the revision of the mental and behavioural disorders classification in ICD-10, in line with the overall ICD revision process. The Group is chaired by Steven E Hyman, MD, Harvard University, Cambridge, Massachusetts. Steven E Hyman, MD is also a member of the APA’s DSM-5 Task Force. To facilitate the achievement of the highest possible extent of uniformity and harmonization between ICD-11 mental and behavioural disorders and DSM-V disorders and their diagnostic criteria. 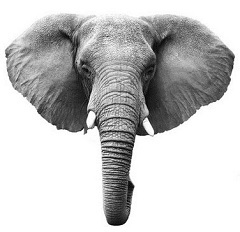 The WHO and APA should make all attempts to ensure that in their core versions, the category names, glossary descriptions and criteria are identical for ICD and DSM. The Advisory Group has published no Summary Reports of its meetings since its fourth meeting in December 2008. A fifth meeting of the group was held on 28 – 29 September 2009. Over a year later, no Summary Report has been published for that meeting. It is uncomfirmed whether any meetings of the Advisory Group were held in 2010. The lead WHO Secretariat for Topic Advisory Group (TAG) for Neurology is Dr Tarun Dua, Management of Mental and Brain Disorders, Department of Mental Health and Substance Abuse, WHO, Geneva. The TAG for Neurology is chaired by Raad Shakir, MD, Imperial College London. For further information on TAG Neurology see this page. Draft proposals for the revision of DSM-IV diagnostic categories are scheduled for publication on 10 February with a comment period expected to be open until 20 April. Dr King is in the private practice of pain medicine in New York and he is also clinical professor of psychiatry at the New York University School of Medicine. CAUTION! Who Should Be the DSM-V Diagnostician? A collaborative weblog covering the intersections of medical anthropology, science and technology studies, cultural psychiatry and bioethics. From the Culture and Mental Health Research Unit, Institute of Community and Family Psychiatry, Sir Mortimer B. Davis-Jewish General Hospital, Montreal, Quebec, Canada. Ethan Watters lives in San Francisco. This essay is adapted from his book “Crazy Like Us: The Globalization of the American Psyche,” which will be published later this month by Free Press. Dr Sing Lee, referred to in this article is a member of the DSM-5 Work Group for “Somatic Symptom Disorders”. Western Psychiatric Imperialism, or Something Else? Ronald Pies responds to the essay in the New York Times Magazine, The Americanization of Mental Illness.